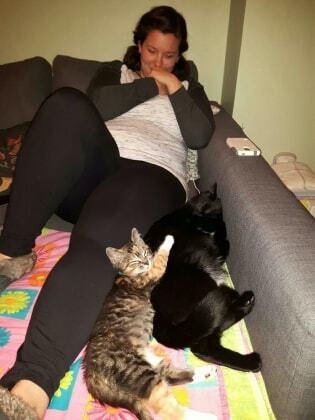 Jordan looked after my cats for 10 days while I was on vacation. She was great - she sent daily updates and photos of how they were doing, which gave me peace of mind! Jordan took wonderful care of our dog Suki during our time away. She sent us tonnes of photos and videos, and treated Suki as if she were her own. Suki is a rescue dog and is often wary of strangers, but Jordan was so great with her. It was a huge relief while we were away to know that Suki was being treated with such kindness and love. I have an extensive background in animal behavior and care, and have experience dealing with a wide range of species from fish to herpetiles, birds, and of course household pets. I am able to handle multiple animals, animals with behavioural issues or special considerations, animals that need training, and the administration of medication as well. I am flexible and able to ensure a safe and meaningful visit for your pets! I believe in providing consistent and engaging encounters, so let me know how best to handle your furry friend and I will provide the best care possible.